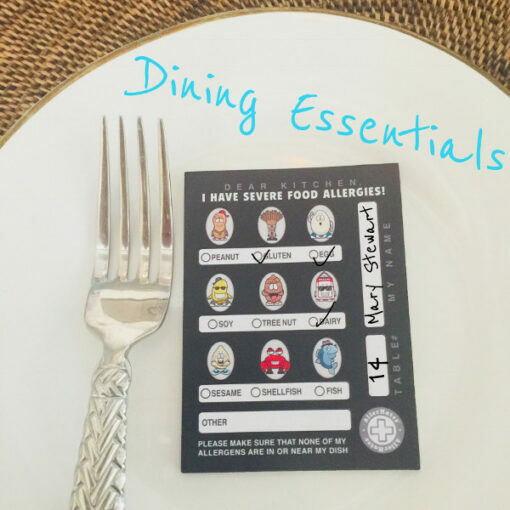 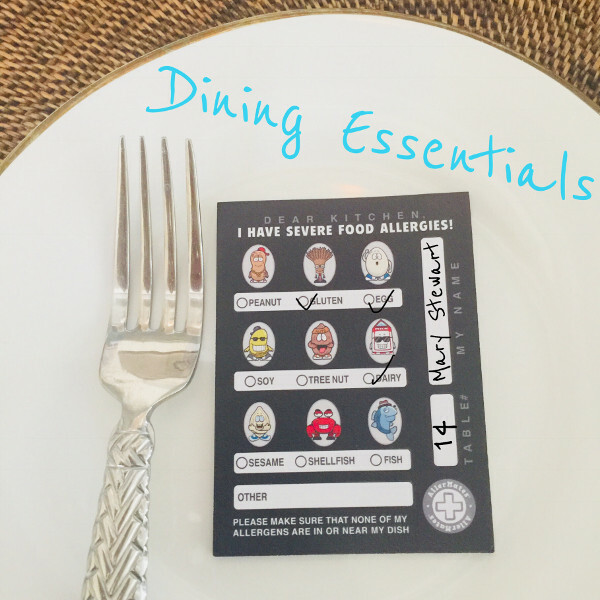 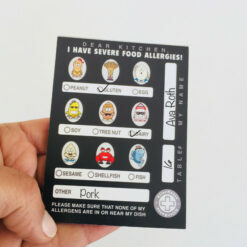 This Food Allergy Chef Cards pack has 50 notes in each pack to alert wait staff and kitchen staff to your food allergy. 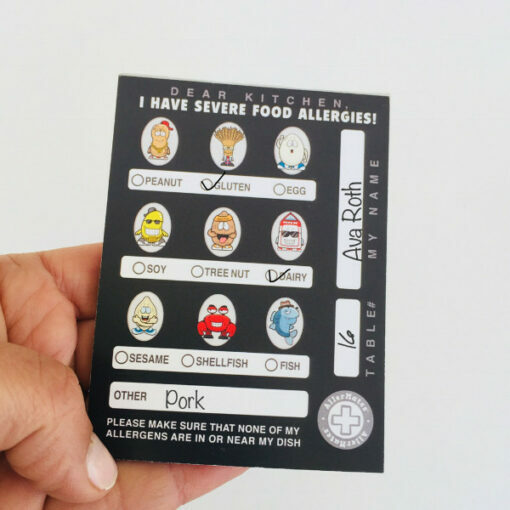 In a busy restaurant setting, it can be difficult to know if your allegies are heard and taken seriously. These notes serve as a reminder to staff of your allergies. I have severe food allergies! 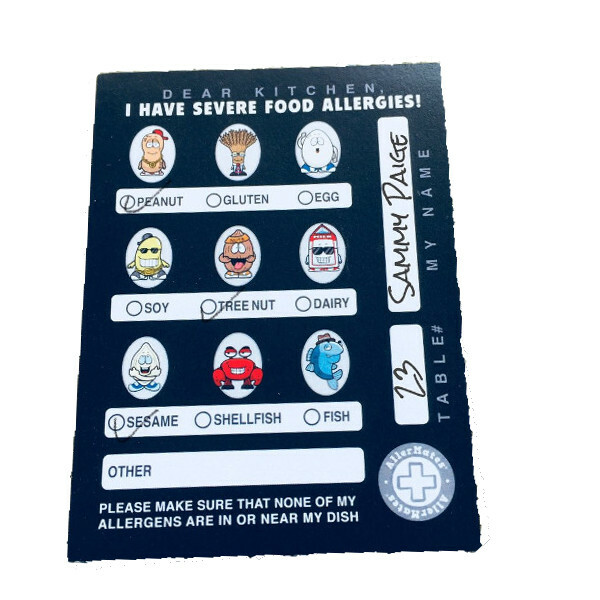 There is also space to fill in any other allergens you have at the bottom. 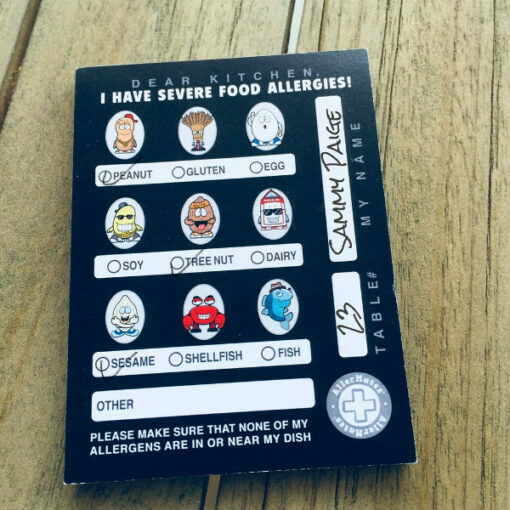 You can also fill your name and table number on the side.